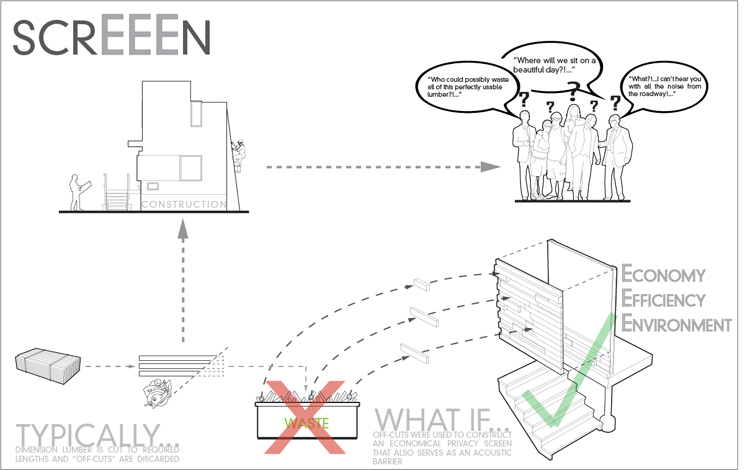 Originally designed concurrently with the Habitat for Humanity Houses in Brampton, "ScrEEEn" is an architectural acoustic fence. The project was designed to follow the principles of 3E [Environment, Efficient, Economic] which guide the three houses at Hoskins Square. In order to build adjacent to a busy road, Habitat for Humanity was required to build a 1.8m high acoustic fence which needed to meet the density requirements outlined by the City of Brampton. 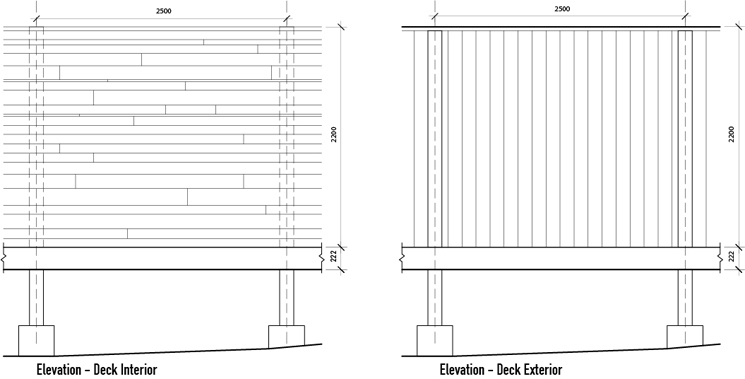 Originally the City required a double thickness of 2"x4" red cedar to create the fence, which is prohibitively expensive. ScrEEEn recycles construction cutoffs to replace one of the layers of red cedar. The product is a unique and articulated facade that provides the necessary density for acoustic baffling. This reduces the cost of construction by re-using [Efficient] waste and reducing [Economic] construction material by 50%. 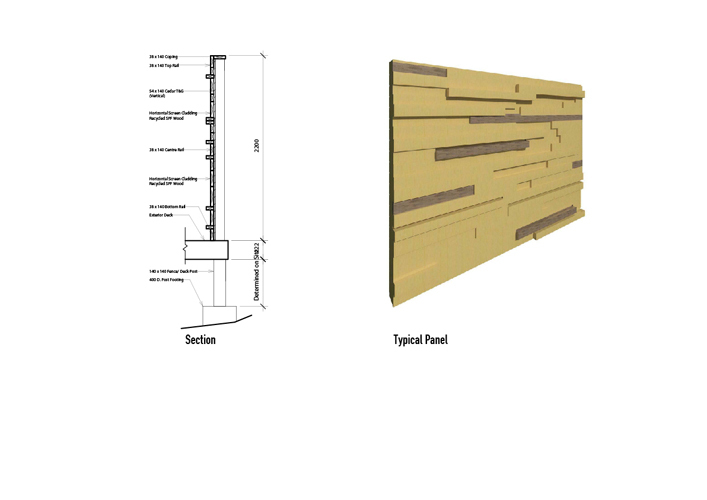 Depending on the orientation of the lumber, the wood can act as both a wall or shelves.